Home / Dogs / Treats / Barkworthies Rabbit Jerky w/ Apple & Kale 12 oz. 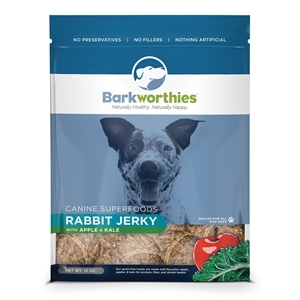 Barkworthies Rabbit Jerky w/ Apple & Kale 12 oz. Barkworthies Rabbit Superfood Jerky is a very digestible treat that is high in protein to support muscle growth and development while being both grain and gluten free. Made with real rabbit, apples and kale, it is rich in vitamins and fiber to support the digestive system. 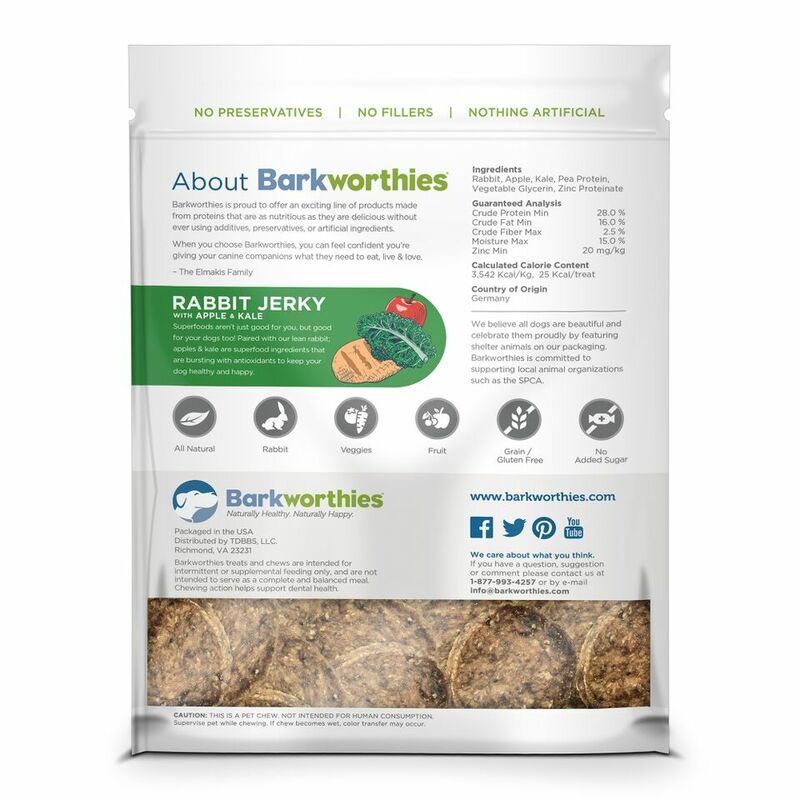 Our Barkworthies Rabbit Superfood Jerky is rich in antioxidants to support a healthy immune system, and promotes anti-inflamation, dental and digestive health. Each piece is baked to perfection, so it’s simply bursting with savory aroma, texture and flavor your dog is sure to love. Most Barkworthies’ all-natural dog treats and chews are completely preservative-free and additive-free. Please note that this product is not for human consumption. Please supervise your pet while giving a treat or chew and dispose of properly if it becomes a choking hazard or develops sharp edges.